The Town Villas of Old Maple were built and completed in 2013 and feature twenty two townhouses and townhomes that are either one floor or two floors. There are one bedroom models, as well as two bedroom models with either one bathroom two bathrooms. The sizes of the units start at just under one thousand square feet and go to almost fourteen hundred square feet. The units are finished with laminate floors throughout the living areas as well as carpeting in the bedrooms and kitchens with granite counter tops and stainless steel appliances. The sizes of the suites at the Town Villas In Old Maple at 9589 Keele Street in Vaughan and Maple range from eight hundred square feet and up one thousand and five hundred square feet. There are no amenities as this is a townhouses complex and so small that there is no room for any amenities. The maintenance fees cost approximately two hundred and seventy dollars per month which cover the water charges, building insurance, common elements and parking costs. 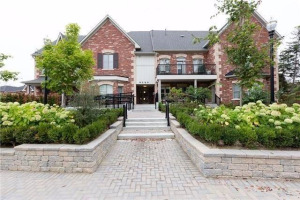 The owners and tenants at the Town Villas In Old Maple at 9589 Keele Street in Vaughan and Maple pay for their own heating, central air conditioning, electricity, home telephone, internet, cable television, as well as insurance on their own belongings and any upgrades on the suites and units at the property. The Town Villas of Old Maple are located on the East side of Keele Street North of Rutherford Road and South of Major Mackenzie Drive in the Old Maple district of the city of Vaughan. The area has good access to transportation routes, parks, as well as grocery stores and other retail shopping. The transportation routes close by include Highway 400 to the West which can take you South to East/West highways such as Highway 7, Highway 407 ETR and Highway 401. There is also quick access to two Go Train Stations with one at Rutherford Road and the other being at Major Mackenzie Drive. There is also access close by at Jane Street and Highway 7 to the new T.T.C. subway stop to open in the future. The area also has parks close by with the Frank Robson Park across the street and many others within walking distance. There are also many grocery stores close by with Walmart, Longo's, Fortino's, and Costco all within a short drive. The area also has many other amenities close by including the Vaughan Mills Shopping Mall with over two hundred stores, professional offices, restaurants and even a bowling alley and outdoor go kart racing track. There are also other great amenities close by with Paramount Canada's Wonderland which is a great place for kids and many other places for children. Click on the map to view the full walkscore on the Town Villas Of Old Maple in Maple and Vaughan for more information on the neighbourhood including shops, stores, restaurants and cafes in the area. I have researched and listed the Public Schools and Catholic Schools associated with the Town Villas of Old Maple located at 9589 Keele Street in Maple and Vaughan. 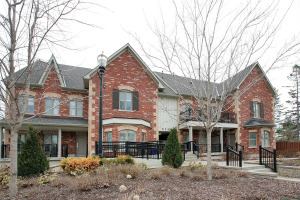 I have also listed the closest Private Schools and Montessori Schools to the townhouses and townhomes. Click the school name for their website, click the boundary link for the school boundaries and click the ranking for the Fraser Institute School Ranking and EQAO Scores. I have also researched on GoDayCare.com, the closest daycares to 9589 Keele Street in Vaughan known as the Town Villas in Old Maple. Call the daycares for more information on their programs, pricing and availability.